Just a little status update from where I like to call home. Trying my best to sick to my niche and not turn JooJoo Azad into a travel blog, but it's rather difficult to refrain from sharing photos from a contry that is only heard about (negatively), and not seen. 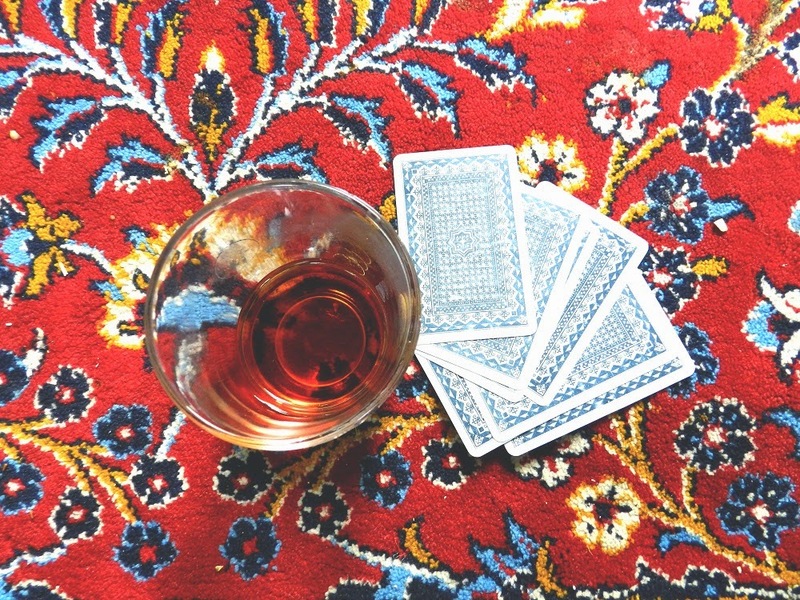 The weekends in Iran (Friday and sometimes Thursday) largely consist of soaking up the warm sun and tea and playing Hokm (an Iranian card game) for hours on end. I feel so much lighter without my phone glued to my side or feeling the urge to consistantly check my email. Life has finally slowed down just a bit and I'm starting to catch my breath. 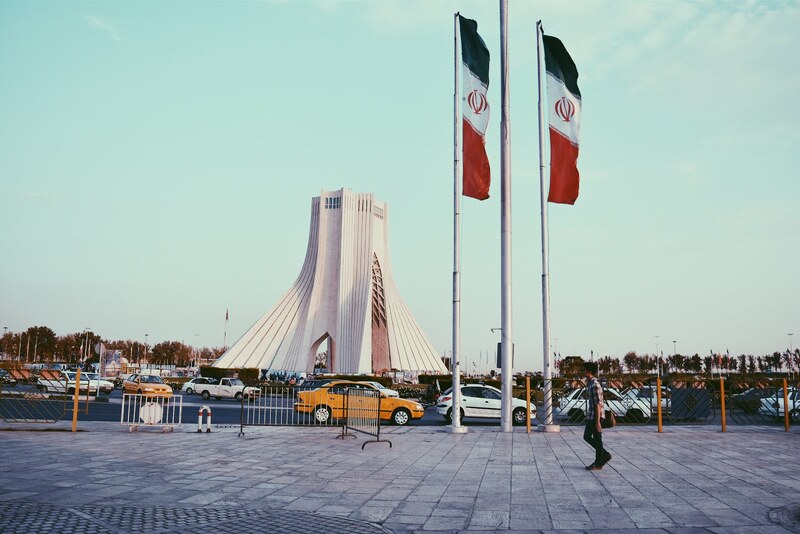 I've only been in Iran for about 3 weeks but already I have learned and grown so much, talking with my boss, family, and the people around me. I haven't quite broken out my camera because I'm not too psyched about feeling like a tourist, but I promise I'll publish a quick little photo diary within the next few weeks (a few little snapshots are already up on my Instagram) because I think it is really important for people to see what Iran truly is, rather than what you might have heard from the news. So stay tuned! such a pretty photo! I'm really excited to see the photos from Iran! Ahhhhhh that tea looks sooo good!! I just checked out your instagram and i love all the photos. just followed you. thanks for sharing the beauty with us, its so nice to hear about Iran in a different light. Thank you for taking the time to read it! I hope you will enjoy the photos even more! I would definitely love to see photos, I may never get the chance to go myself! Ah, thank you so very much for your kind words! It's such a beautiful feeling for me seeing so many open-minded people looking for the truth! I'm honored to have you as a reader! So glad to hear! c: I've been posting little snipbits here and there on my Instagram, and will post the rest on my blog soon (just published a schedule of what's to come)! You for sure should try to make the trip out--I definitely reccomend it! In the meantime though, I hope my photos do just a little bit of justice to the beauty of the country! I'm excited to share them with you! Thank you for reading! Glad you like it! Thank you for dropping by!